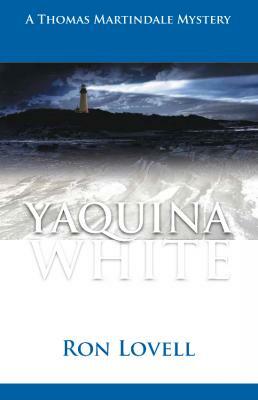 College professor Thomas Martindale returns to the scene of his debut as an amateur sleuth, the Yaquina Head lighthouse on Oregon's central coast, in Yaquina White. The "white" of the title stands for cocaine and that is what a murderous drug gang is importing into the state. His career in tatters because of his arrest on a bogus murder charge, Martindale must flee Oregon to escape from the leader of the gang. He joins a media tour of the Arctic only to face new dangers from Russian border guards and the crew of a ship smuggling a secret cargo over the North Pole to Pacific coast cities. After his return to Oregon, Tom has a final, deadly encounter with the drug lord at the lighthouse, from which only one of them will walk away. Lovell started as journalist for national magazines before teaching at Oregon State University. He is the author of fourteen textbooks and hundreds of articles, as well as the Thomas Martindale Mystery Series, which has grown to ten books. His most recent book starts a new series, featuring Lorenzo Madrid.